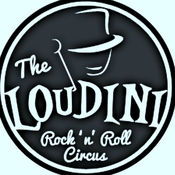 Do your part to keep guitar driven rock ALIVE... join Loudini LIVE! Go to to find out how you can be a part of our LIVE online audience and get access to exclusive music and video! On this edition of the Loudini Hard Rock & Metal Circus we discuss the Motley Crue biopic "The Dirt". Resident Crue expert Lily V. Sixx will give us the low down on the best and worst of The Dirt. Be warned that THERE WILL BE SPOILERS! Featured Loudini Artists: 13 Saints Big Ugly Storm Dragon Lou Lombardi Topics Covered: -book vs movie -actor choices and perfomances -most controversial scenes -is the movie sexist or demeaning to women?